Bring the ocean right to your backyard! 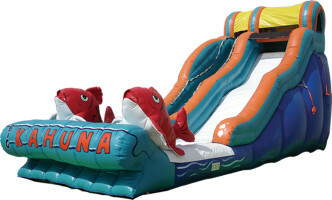 The Big Kahuna inflatable water slide will make your luau come alive. Feel what it's like being a fish, swimming with the current as you zoom down the slide and completely submerge yourself into the splash pool.